Got heartburn? Long-term use of proton pump inhibitors appears to raise risk of stomach cancer – explore alternatives! For patients with heartburn, I try to prescribe acid reducing drugs for as brief a time as possible, and take time to discuss the many evidence-based alternatives for treating GERD without medication, including vigorous lifestyle changes. 80-90% of GERD sufferers who overweight are able to eliminate or reduce their reflux drugs just by losing 10% of their body weight. 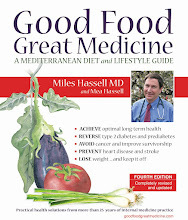 To create a personalized action plan see pages 59-92 in Good Food, Great Medicine (3rd edition). For additional GERD-fighting suggestions see our January 2017 newsletter. “Metabolically healthy obesity” is a common medical classification of people with obesity (BMI>30) who have a normal metabolic profile, such as normal blood pressure (BP) and cholesterol levels. Some schools of thought suggest that these individuals are therefore not at significant risk; however, in a 2017 study following 3.5 million participants for an average of 5.4 years, researchers found that individuals with obesity and no metabolic abnormalities had a 49% increased risk of coronary heart disease and 96% more heart failure than their normal-weight counterparts. Anyone with an excess waistline needs to lose weight, and it can be very motivating to consider the impact weight loss has on future independence and quality of life. When faced with the myriad of weight loss options available, we should always choose the option with the best evidence for improving overall long-term health rather than focusing only on short-term weight loss. The most sustainable and evidence-based weight-loss program to date is a whole food Mediterranean diet, portion control, and a daily habit of physical activity. Start now! For a wealth of practical strategies to help incorporate these choices into your own life and transform your health trajectory, see pages 60-61 and 69-92 in Good Food, GreatMedicine (3rd edition) or see our free weight loss handout at goodfoodgreatmedicine.com.